This item is one of Ken's Picks. 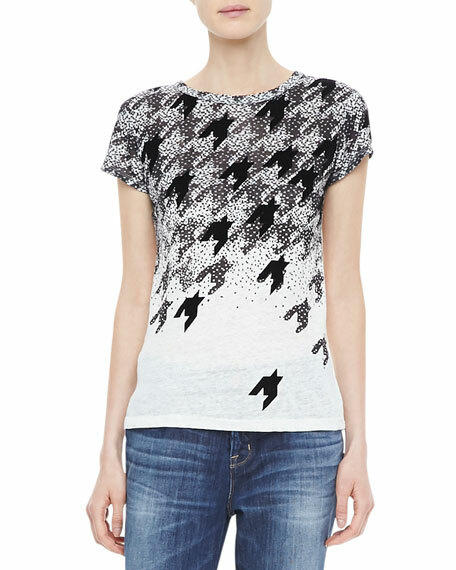 "I love how this tee transforms flocking birds into a graphic play on houndstooth." Model's measurements: Height 5'10"/177cm, bust 32"/81cm, waist 24"/61cm, hips 34"/86cm, dress size US 2.